Wilderdad aims to give good dads a break, to throw you a life vest that’ll keep your head afloat in the choppy seas of fatherhood. And man, do they get choppy. Like most guys, I didn’t learn much about parenting from my dad. He came from a long line of dads who had no idea what they were doing. And he passed the tradition down to me. But, like me, you’ve probably learned from your significant other that ignorance doesn’t fly as an excuse any more. And that’s where Wilderdad comes in. Wilderdad hopes to make fatherhood a little easier and to make you feel like you actually know what you’re doing (sometimes). We do all this with stories to inspire, advice to guide, and gear to motivate. 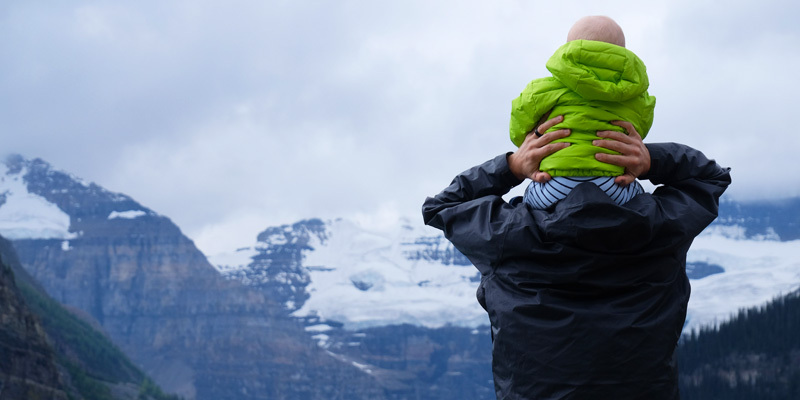 Wilderdad tries to lay out a road map that bridges fatherhood with adventure. We’re the new generation of dads. Sure, we push ourselves at work and our sports of choice. But, we also read bedtime stories to our kids, help with homework, and watch the latest Pixar movie 112 times. We’re a collective of real dads who love our kids, our families, and the outdoors. We believe the outdoors holds a key to building a happy family. We believe spending time outdoors, whether urban parks, lakeshores, or remote mountains, teaches confidence, creativity, problem solving, teamwork, self-control, and respect for each other and nature. Sound like you? Well, then you’re a Wilderdad too.